K: Almost one week until Thanksgiving! By now, you probably know that I’m a dress lover and if I had to guess, I’ve spent 75% of my life in a dress of some sort. Holidays are no different. Who wants to be restricted to jeans after eating a huge meal?? Breezy dresses like this one offer the perfect amount of wiggle room so that you can go back for that second slice of pumpkin pie. This particular dress was a steal at Loft and the dark green color would transition perfectly into the Christmas season as well. Here are my other favorite dresses that will give you that extra bit of breathing room for Turkey Day. B: Over the years I have significantly fluctuated my wardrobe several times. These bouts of change were spurned from significant events in my life and have ranged from the stigma of dressing like a cowboy, a lumberjack, a congressman, and a hippie. Once I had the realization that I was not quite cut out for the mindset and lifestyle that followed suit of the wardrobe, I fell back to my standard timeless classic look. 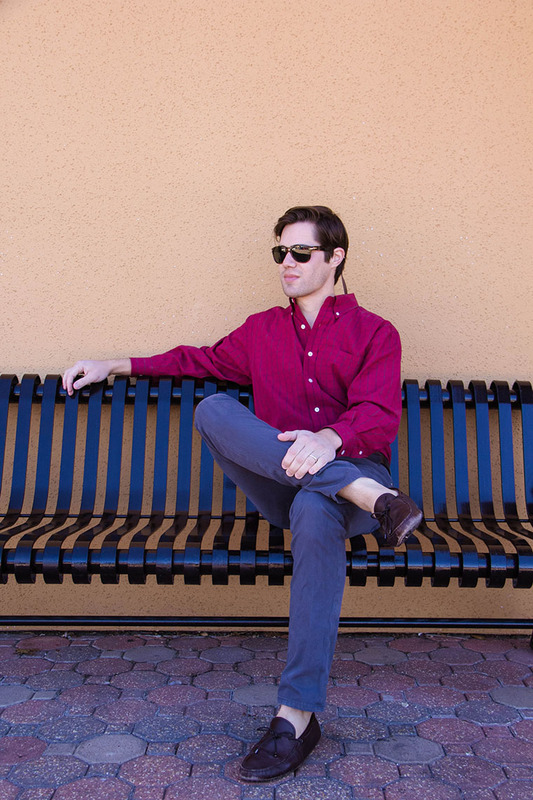 This look can be seen in nearly every post we have generated, and mainly consists of slim pants, button downs, loafers, and a wide spectrum of color combinations. It is fun to change things up and vary your mindset in life, but when you have a style you love and have made your own, that is when you have truly created your own identity. Changing things up in this instance means shifting towards seasonal colors for special occasions, such as sharing the upcoming holiday season with gathered friends and family. 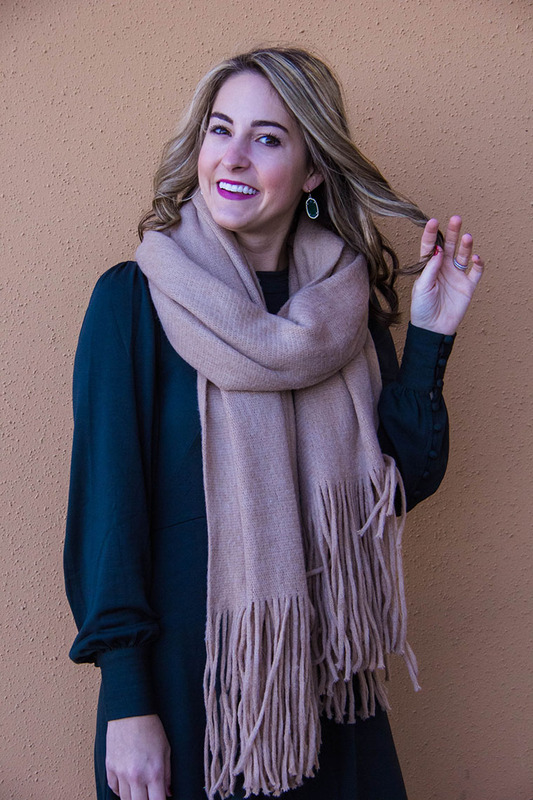 K: There’s something so quintessential about bundling up in a great scarf to keep warm during the fall and winter months. In San Antonio, sometimes I can get away with a blanket scarf as my heaviest layer! This scarf is my absolute favorite of all time, and for good reason. It’s thick, soft, and comes in several different colors. Scarves are my go-to accessory in the winter time and I often find myself throwing them over any dress, adding boots, and a pop of lipstick. 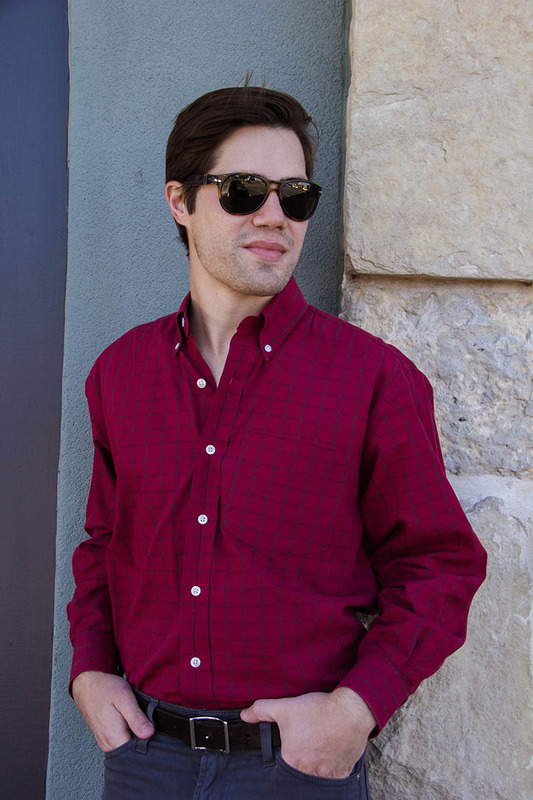 There’s nothing more simplistic than that for an outfit.